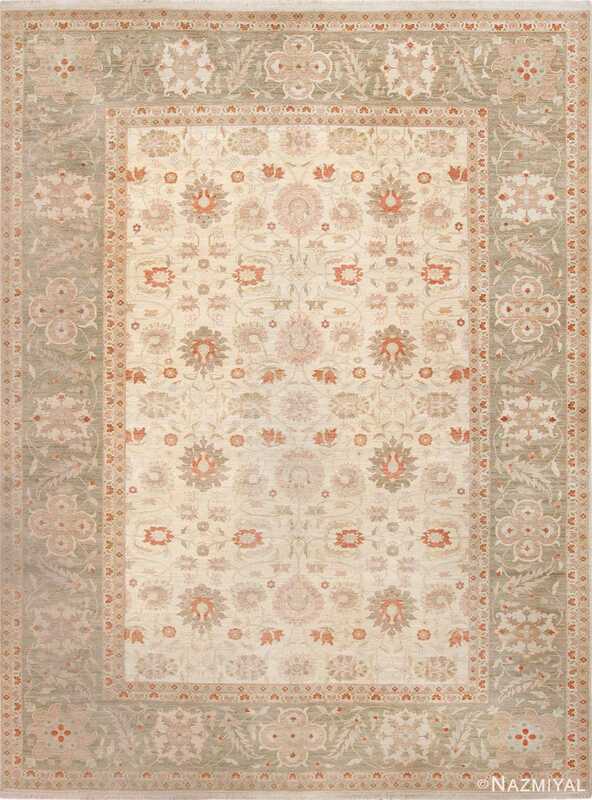 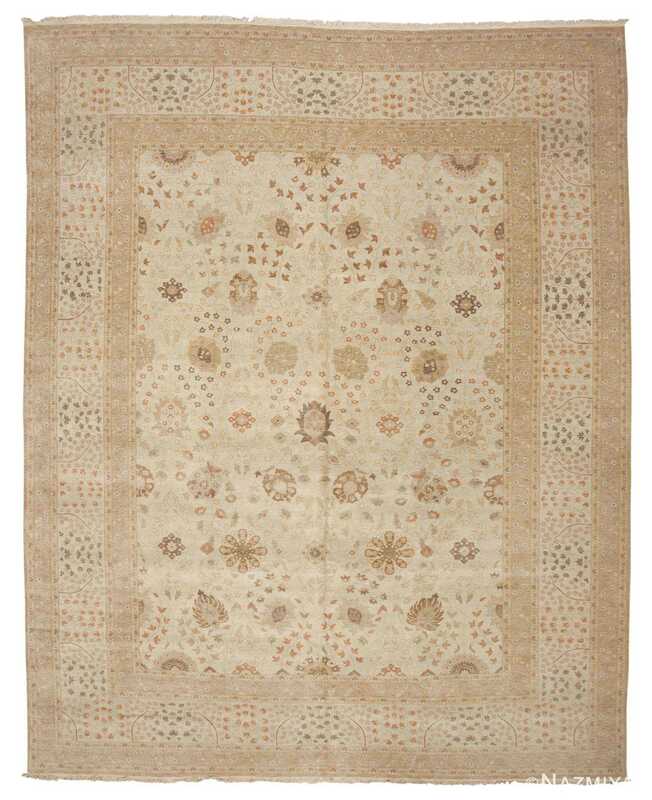 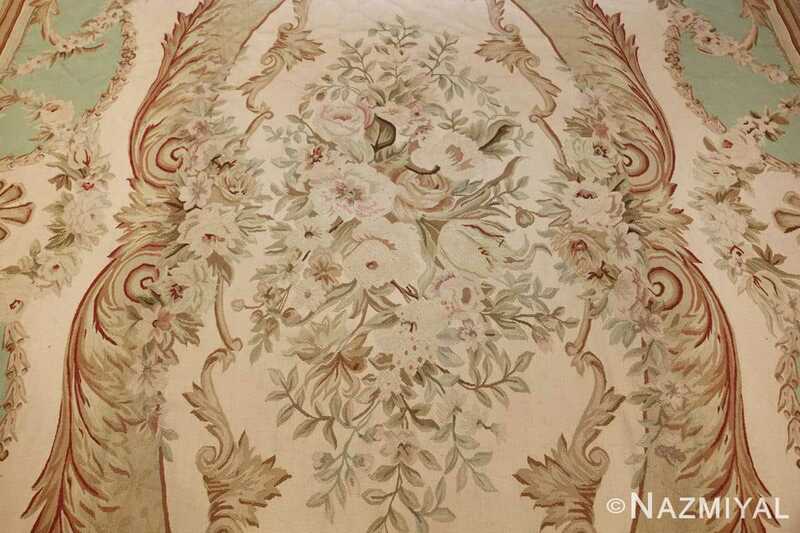 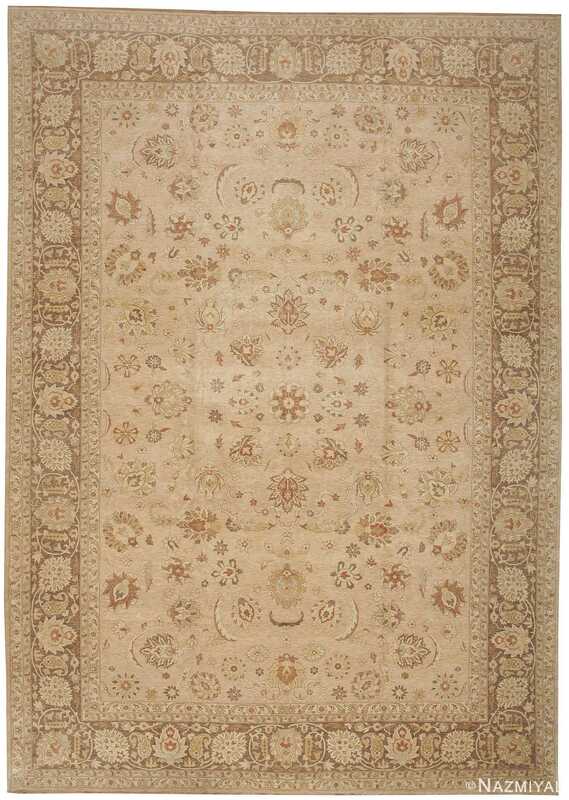 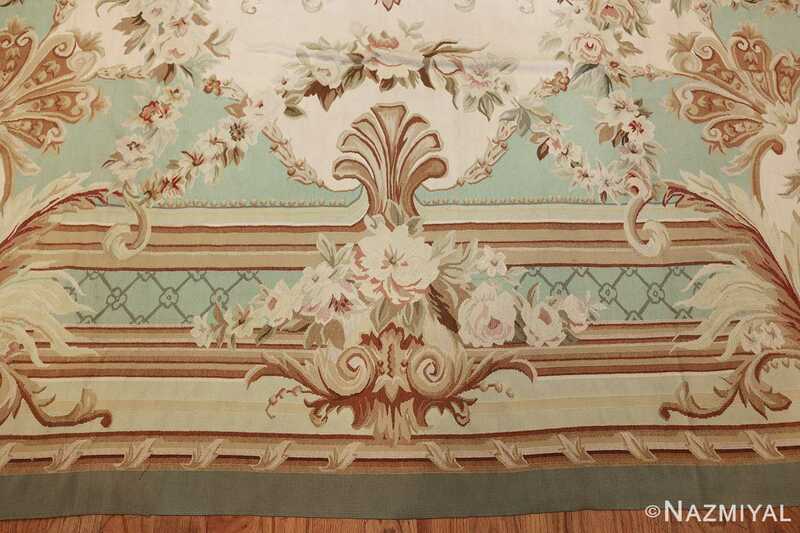 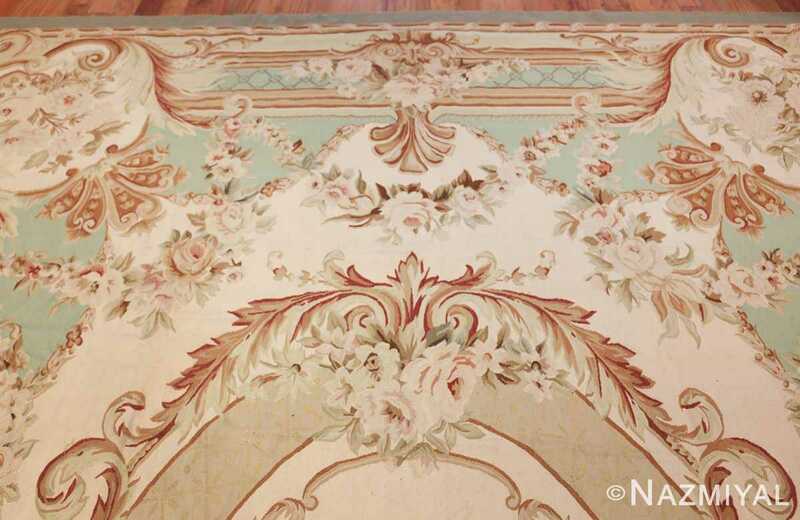 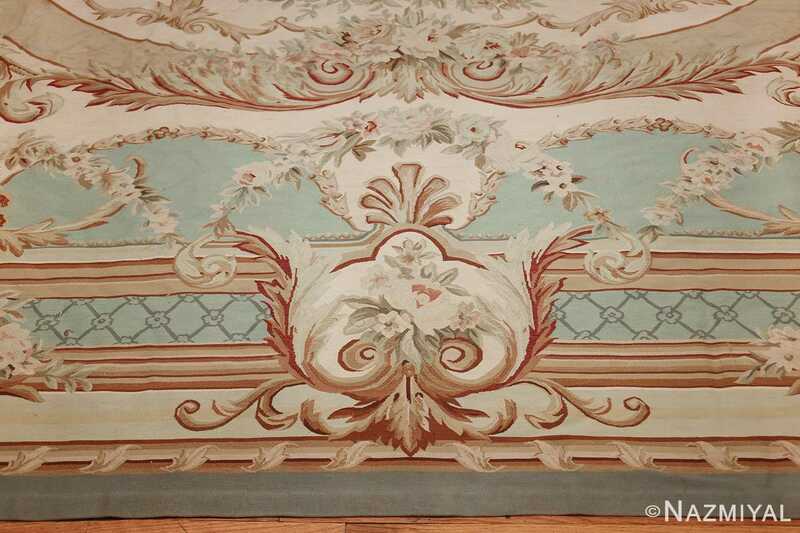 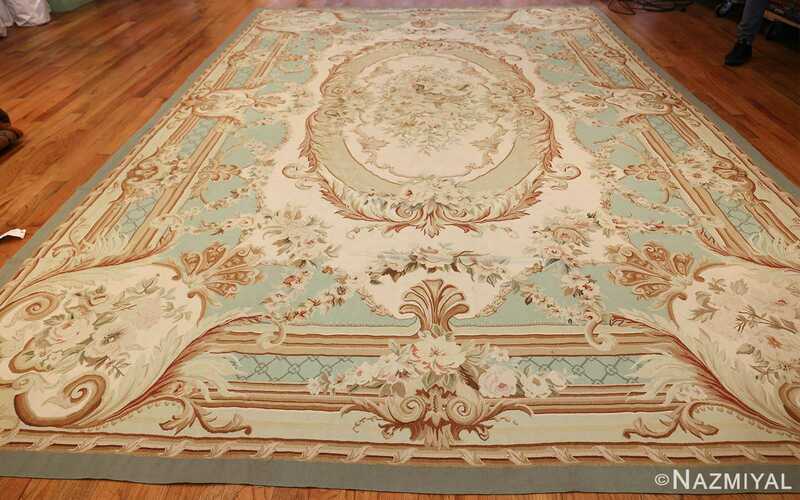 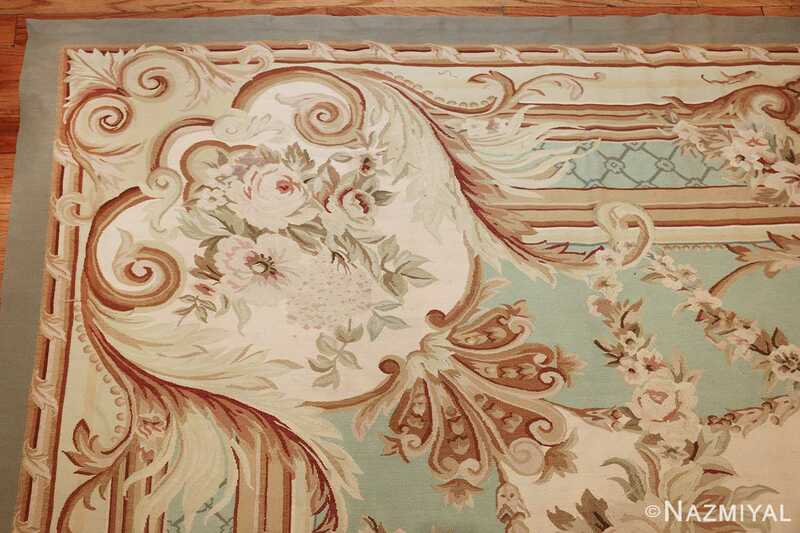 french Inspired Beautiful Modern Chinese Aubusson Carpet, Country Of Origin: China, Circa Date: Modern Rug – Architectural acanthus leaf scrolls, dainty floral garlands and lush bouquets with powdery-white cabbage roses decorate this superb Modern Aubusson rug. The formal architectural centerpiece depicts lavish scroll work frames embellished with dimensional shadows, opulent floral and elaborate baroque acanthus leaves that create a formidable medallion. The formal borders feature sweeping garlands, formal sconces, elegant scalloped fans and scrolling acanthus leaves that mirror the opulent style of the field. 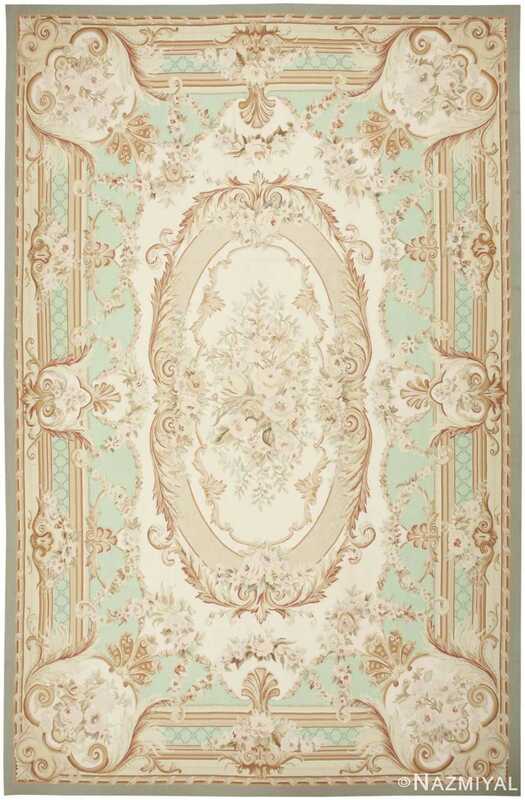 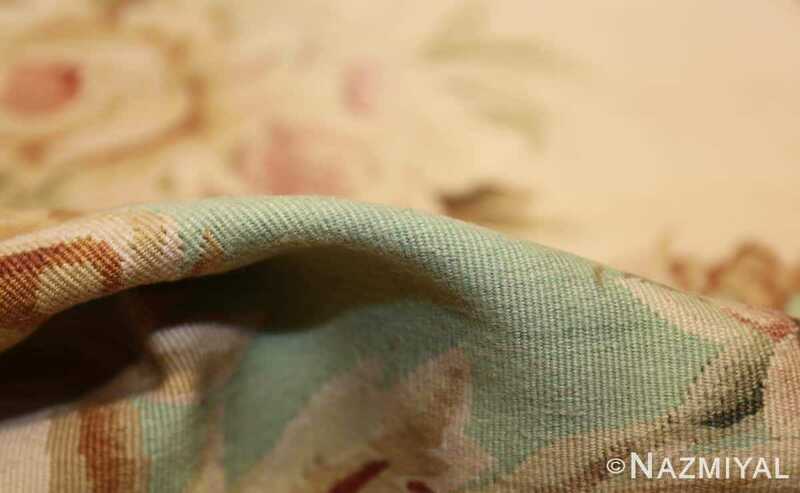 Subtle aquamarine accents that decorate the ornate edges of the field and borders complement the chic white florals and brown hues featured in the gilded accents. 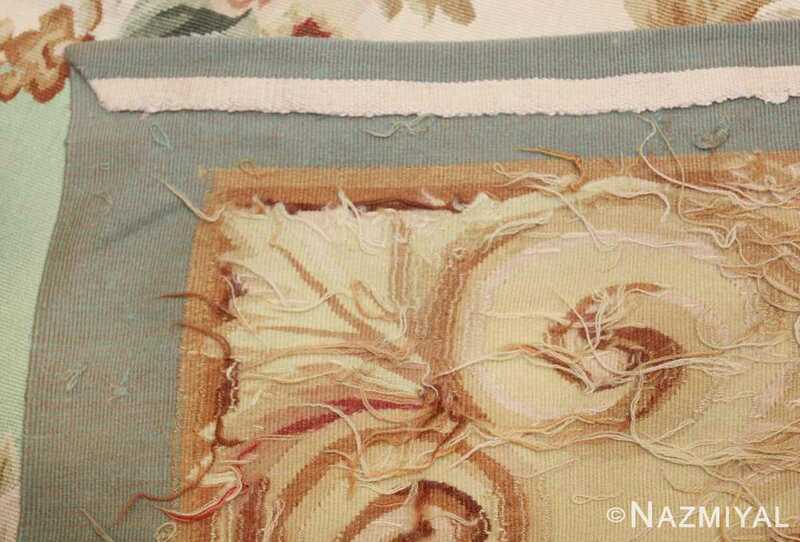 Formal cornice pieces and miniature sconces line the edges of the lavishly decorated borders adding to the sophisticated appearance of this outstanding modern Aubusson style rug.